The Department of Theatre and Dance has been developing its education and outreach program over the last few years. 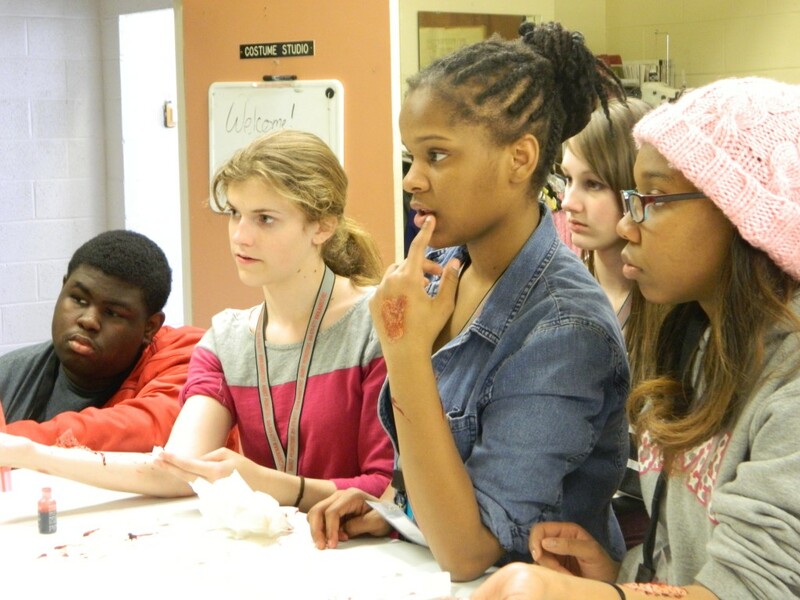 It has grown from a small number of one-time events in the 2013-2014 school year, to a full calendar of programs reaching 1400 students at 24 different schools in the 2015-2016 school year. We will expand the program even further increasing the number served by over 50% to 2500 students served in the current school year! 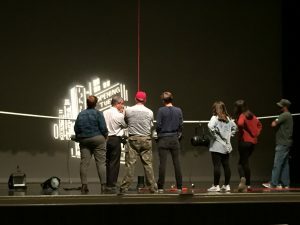 The UA Theatre Festival is headed into its fifth year, offering several workshops ranging from acting and movement to technical theatre taught by faculty and MFA candidates. The festival is open to 8-12 grade students and has grown significantly over the past three years reaching over 100 students since the fall of 2016. The festival includes an opportunity fair highlighting each aspect of the department, including information on scholarships and the application process. The next UA Theatre Festival will be on October 20, 2018! The registration fee of $25 includes workshops, lunch and a t-shirt. 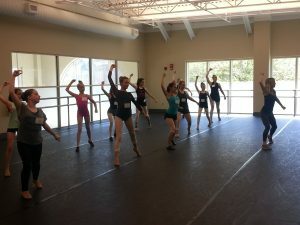 Heading into its fourth year, The University of Alabama Dance Festival offers middle and high school students the opportunity to participate in a day of dance workshops with our outstanding students. Offered every spring, the festival registration fee is $40 per person. This includes workshops, lunch and a ticket to Dance Alabama!. The next UA Dance Festival will take place Saturday, March 30, 2019. Our Explorer series allows students who are interested in theatre and dance to delve in and learn something new. There are programs in this series designed for pre-k, elementary, middle school and high school. In the last year we have expanded these programs to provide access to the arts for students with autism as well! UA Theatre and Dance offers a Musical Theatre Audition Masterclass for students who wish to pursue a career in Musical Theatre by helping them understand the nuances of auditioning for college and university Musical Theatre programs. Do you want to be a UA Theatre & Dance student for a day? Become an understudy! Our understudies are high school students who attend classes and shadow faulty and students to learn about careers in theatre and dance. To best fit your schedule, this program can be offered as a full-day or half-day schedule. Available tracks are: Dance, Acting, Musical Theatre and Design and Technical Production. UA Theatre and Dance is excited to offer its first sensory performance this season! Arts n’ Autism students attended a special performance of Dance Alabama! on March 24, 2017. Light and sound levels were lowered and students had activities in the lobby to occupy them should the performance be overwhelming. They were also encouraged to enter and exit the performance venue as needed. Through the partnership with Arts n’ Autism and Dance Alabama!, UA Theatre and Dance is able to communicate with most families in the Tuscaloosa area that are affected by autism. Each fall the UA Theatre and Dance department produces a Shakespeare performance or a similar classic work. In the 2016-2017 school year a performance of Hamlet (Oct. 6, 2016) was offered free of charge for Tuscaloosa City High School students. 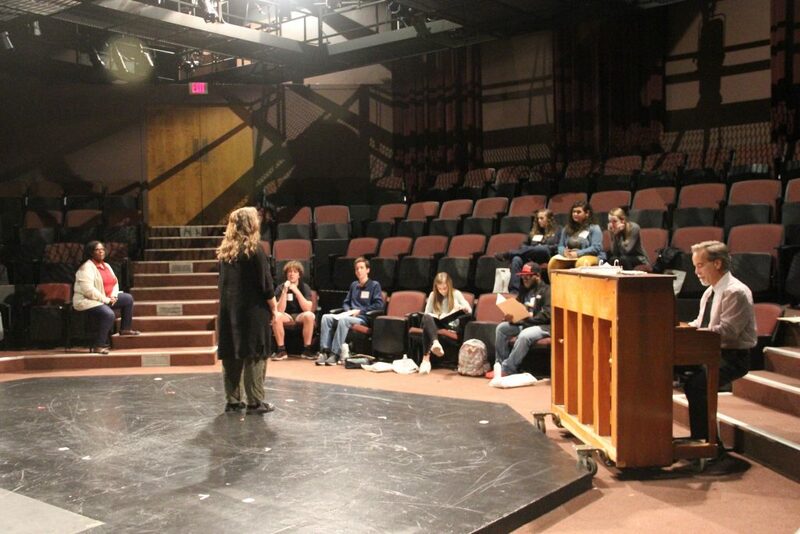 The field trip was paired with a series of classroom visits from UA Theatre and Dance graduate acting students. We scheduled times for UA actors to go into the classroom and read text as part of the students’ curriculum. 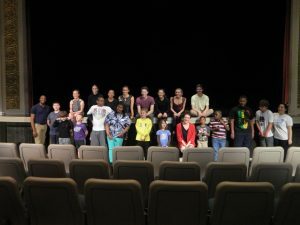 UA Theatre & Dance partners with the Children’s Hands On Museum to provide theatre and dance education programs to elementary age students and their families. The University of Alabama students use movement and acting to narrate books, fables and other familiar stories. Every spring, UA Theatre & Dance partners with Al’s Pals to bring edu cational programming to area elementary schools. In spring 2016, Northington Elementary School was the chosen school. For eight weeks, several graduate and undergraduate students worked with the students and their mentors to create theatrical or dance based representations of classic fairy tales. 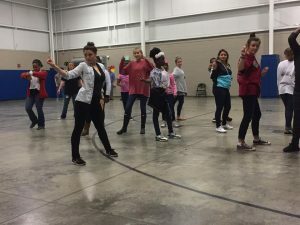 The students learned character development, story structure, teamwork, improvisational skills or basic dance technique. This program is designed mainly for elementary students, but we are able to also reach other UA students who serve as mentors. This year we are serving Matthews Elementary School, and two undergraduate students are teaching a dance combination to fifth graders that will be performed for their families at the end of the semester. The dance outreach program works with local elementary schools every spring to introduce basic dance concepts that help students discover new ways of moving, creating and problem solving. The classes are taught by current dance majors and focus on several fundamentals of movement including shapes, levels, directions, rhythms, balance and relationships. Students are encouraged to create their own dances, which promotes creativity while learning improvisation and team building skills. On Friday nights of Marian Gallaway and Allen Bales productions, we bring in a guest speaker to talk on a theme or interesting element from the show. This series allows both student and adult members of the audience to learn about new subject areas while socializing and continue a dialogue about the shows even after the curtain falls. A reception follows the talkback for Marian Gallaway productions. 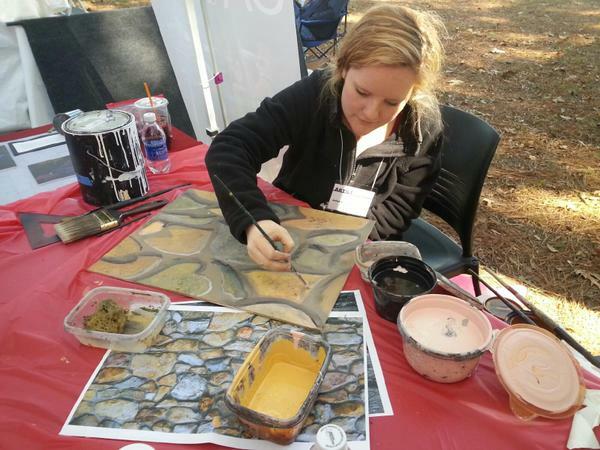 UA Theatre & Dance participates in several community events each year, including but not limited to: Druid City Arts Festival, Volksfest, Hospice 5k, and Duck Derby. We also foster partnerships with other departments and organizations on the UA campus. You will find us at Night at the Museum, Get on Board Day, Graduate Student Orientation Welcome, and several other events. These events help bring awareness of our department’s season and programs to the community outside of the campus, helping us share theatre and dance with a larger demographic.